I don't get the exact compact complex message. Also, I don't know how to post an image. where can i get the dark injection v2.1.6 to use it while the error with that "splitwirez" user is fixed :S? Risis4 wrote: where can i get the dark injection v2.1.6 to use it while the error with that "splitwirez" user is fixed :S? Don't bother. If you want the problem to be solved, just post screenshots of the error messages - I can't fix anything without knowing what the problem is. Even if you did manage to track down a copy of Dark Injection 9.r Public Beta 2.1.6, without posting screenshots of those errors, you would be waiting indefinitely for a fix that cannot be created. I keep getting this message, even when I have no mods and am just trying to launch GA (steam) through modapi. Here is the screenshot. lordvalderus wrote: I keep getting this message, even when I have no mods and am just trying to launch GA (steam) through modapi. Here is the screenshot. Yeah, I've seen that before. 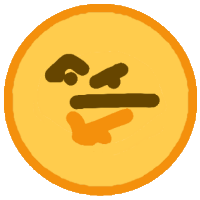 I have a hypothesis regarding why it occurs, but have yet to be able to determine whether or not that hypothesis is correct. Given that I've been unable to replicate the issue myself...any chance you'd be open to meeting up on, say, Discord or Steam to help test a few potential fixes? Yeah, I would be open to meeting on steam, but I don't know how to do that. Give me time and I will find out how to. For you, when would it be a good time? 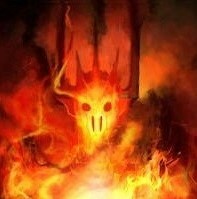 Lord_Angmar wrote: Yeah, I would be open to meeting on steam, but I don't know how to do that. Give me time and I will find out how to. For you, when would it be a good time? Not exactly sure, I've never really been able to keep track of timezones...I tend to be online kinda all over the place. Let's hope timing lines up, and if not, then...we'll burn cross that bridge when we get to it. 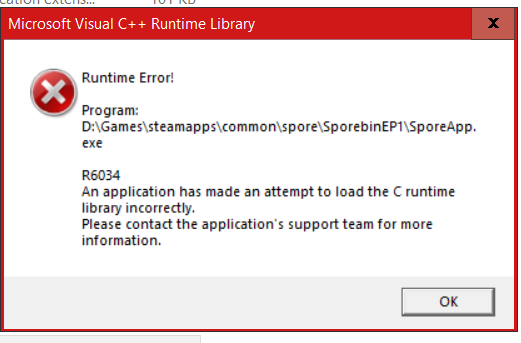 I've used Spore modapi for awhile now but it has recently stopped working. I use it for origins but when I bought it on steam the mods wouldn't work, it's returned and uninstalled now. So I try launching the mod api and it can't open my game now, the error was 1004 data directory not found. The game won't launch at all, not on origins either. What can I do? 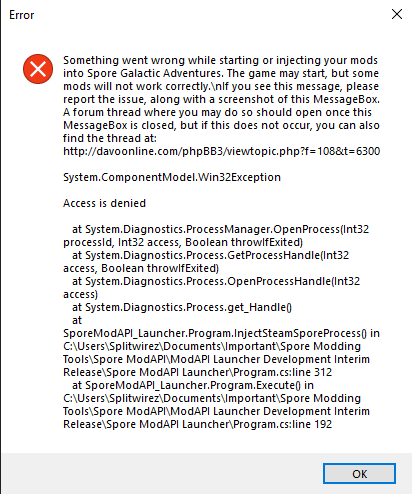 LumaraIG wrote: I've used Spore modapi for awhile now but it has recently stopped working. I use it for origins but when I bought it on steam the mods wouldn't work, it's returned and uninstalled now. So I try launching the mod api and it can't open my game now, the error was 1004 data directory not found. The game won't launch at all, not on origins either. What can I do? If I've understood this correctly, you have two copies of Spore installed, which is probably what's causing your problem. olha não sei vocês mias eu to quase desistindo de tentar instalar o dark injetion se alguma alma tiver o interesse de me ajudar por favor é só me chamar no whatsapp +55 17 9 9788 5071 PS; EU NÃO SEI FALAR INGLÊS E MEU NOME É MARCO. Look, I do not know you guys, I'm almost giving up trying to install Dark Injetion if any soul has the interest to help me please just call me on whatsapp +55 17 9 9788 5071 PS; I DO NOT KNOW SPEAK ENGLISH AND MY NAME IS MARCO. O QUE ISSO SIGNIFICA (SPORE MODDING IS THE BEST)?????? LumaraIG wrote: How can I fix that? If VanillaCold is correct in suspecting that you have two version of the game installed simultaneously, then the fix is simple: backup your creations and save data, then uninstall both versions of the game completely. After that, reinstall only ONE version of the game. Let me know if you need further clarification or run into any trouble during the process.